Did you miss Part 1 (Episodes 1 to 5)? Or Part 2 (Episodes 6 to 10)? Or Part 3? (Episodes 11 to 15)? For Episode 16, we got the highest amount of Official Stills for Season 1: A whopping 20 Stills via SpoilerTV. Most of them featured Team Phoenix and some bonding time, but some also prominently featured members of the Colton family. MY FAVORITE: I was excited when it was announced that the Coltons would show up in this episode, but I wasn’t that fond of the Official Stills for them – maybe because the BtS pictures posted on social media were much more interesting than what we got from CBS. I found this scene between Mac and Jack much more interesting – although the actual scene in the episode didn’t turn out that exciting as the Official Still implied. NOW THAT’S DISAPPOINTING: Well, there’s 20 Stills in total, so I don’t think I’m allowed to complain much. There’s no SAK. Ah. The episode that tried to rope Thornton back in although the actress never appeared in the episode. We only got 8 Stills via SpoilerTV, but they were all of the same sequence which is a pivotal one. The Stills make you curious. MY FAVORITE: The Phoenix Squad marching away from danger (because why run away when you look so good strutting it?). NOW THAT’S DISAPPOINTING: No SAK since Episode 1×14 (Fish Scaler). But the Stills here are interesting. They show action, tension and I like the lighting and the colors as well. Ah. The first Crossover Episode for the show, this time with Hawaii Five-0. For Episode 18, we got quite a lot of Promo (with interviews and BtS videos), but not that many Stills via SpoilerTV. There were 9 in total. MY FAVORITE: The one with Mac and Jack chilling on the beach. They look so serene in this not-so-serene-anymore location. NOW THAT’S DISAPPOINTING: Two of them feature Mac and Jack fighting and two others already imply the happy ending. But it’s nice to see them in a totally different location for once (8 out of the 9 are from one of the beach sequences). The colors and the people are very pretty to look at. This episode granted us 6 Stills via SpoilerTV and 2 more via Getty Images. MY FAVORITE: The one with Mac, Jack and Frankie. NOW THAT’S DISAPPOINTING: All Stills feature the same location. But it’s nice we got to see the Guest Star in them. And because Jack’s injury is so prominently featured as well, you just have to ask yourself what might have happened. We got 9 Official Stills via SpoilerTV; featuring 3 different scenes. MY FAVORITE: Without any knowledge of the synopsis, this Still just has to make you curious. Mac looks… different. Angry? Annoyed? What’s going on? Who’s sitting in front of him? NOW THAT’S DISAPPOINTING: Hm. Only 2 locations in these Stills, featuring only 3 different scenes. Because of the Press Release, we already knew that Murdoc plays an important role in this episode. Would have been nice to see him in one of the Stills as well. The Season Finale! We got 6 Official Stills via SpoilerTV. The show was already renewed for a second Season, so people were wondering if it would end in a cliffhanger. MY FAVORITE: MacGyver in danger (what else is new). So much action and movement in a single picture. For once, there’s nobody just sitting around. NOW THAT’S DISAPPOINTING: We got some other Promo for the Season Finale in form of interviews, but I feel like we should have gotten more Official Stills. 4 out of the 6 Stills feature the same fight sequence, but for a Season Finale Episode, you could argue that this must be a very exciting and important scene. Disclaimer: My original guest-post was first published on The MacGyver Project on March 17, 2017. I made some minor changes (e.g. grammar or source corrections, link corrections, additional pictures) before re-posting it on my own blog for safe-keeping. Production of Season 1 has partially wrapped. There are 3 more episodes left for us to watch. We don’t know much what’s going to happen in these, so expectations are high. It’s a wrap. I think? Justin Hires has wrapped and will be hosting a “Wrap Party Comedy Show” tomorrow. Tristin Mays also seems to have finished her part while some of the actors were still filming the Season Finale today. Although there is a new casting call for a photo double for next week, Executive Producer Peter Lenkov just posted an instagram picture with the announcement of the end of Season 1. Of course, the post-production work is not done yet. But since the next episode won’t air until March 31, Lenkov has a bit more time than usual to edit the remaining episodes. There was a lot of promo going on for the Crossover Episode with Hawaii Five-0. Otherwise, it’s been quiet again. Cast and crew have been working on the last two episodes of the season and started filming the season finale last week. The few times they found a minute or two to post on social media, it was mainly Instagram Live Stories (which disappear after 24 hours) or pictures that didn’t reveal very much (e.g. of the barbecue grill at MacGyver’s home). One thing for sure: There will be a lot of fire power, action scenes (e.g. a car chasing scene) and blood. We’ve seen several pics of Matty pointing a gun. There is also a tac team and military guys. Lucas Till posted a picture of Lee David Zlotoff visiting the set and posing with the cast. The picture reveals that Bozer will probably get hurt (and Riley might get bloody in the process). Tristin Mays showed us the proper way to put fake blood on your chest (hint: you use a straw). Also, Bozer’s robot will make a comeback. It cuddled with Stunt Coordinator Jeff Wolfe and took a ride in Jack Dalton’s car (as seen on Robert Ratner’s Instagram Live Story). I’m assuming Jack won’t like that very much. The last episode (Ruler) had earned the lowest ratings of the entire season so far (6.93 million viewers). The crossover episode (Flashlight) did better (7.73 million viewers), but lost a bit in the 18-49 demo group (1.0 instead of Ruler‘s 1.1). Overall, the ratings were good – but not as good as the promo cycle promised. Nevertheless, the Hashtag #MacGyver trended very fast on Twitter and continued to trend hours after the episode had aired. It also trended again on the weekend and on Monday in other countries (e.g. New Zealand). The cast had joined the crossover promotion; sharing the stills, trailers, clips and articles or posting an “expensive selfie” (via Lucas Till) or a picture of Meredith Eaton with Taylor Wily. Peter Lenkov went live on Facebook to answer fan questions. The writers of Hawaii Five-0 tweeted along with the MacGyver writers. During and after the premiere, the extras shared some more BtS pictures. Simon Rhee provided a picture of the main cast with their stunt doubles. Nik Kash (who played the scientist hanging onto a window ledge until he got rescued by Jack Dalton) posted a BtS picture of that scene and one of him posing with George Eads. Rome Flynn (Bozer’s rival) posted a BtS picture of him with Tristin Mays. We also got an adorable picture of dog Mila posing on the crossover set at the beach. A day before the crossover premiere, we got some exclusive pics by MSN. After 3 episodes without any trailer previews, we got a lot of material for the crossover; e.g. ET Canada asking Lucas Till and George Eads which Hawaii Five-0 star would be the best at macgyvering himself out of a situation (apparently Daniel Dae Kim). We also got to see an exclusive trailer by Entertainment Weekly, a sneak peek by Yahoo, an exclusive clip by Mashable, a sneak peek by TV Guide and another one by Entertainment Weekly. ET Online additionally aired a short BtS sequence just before the premiere. 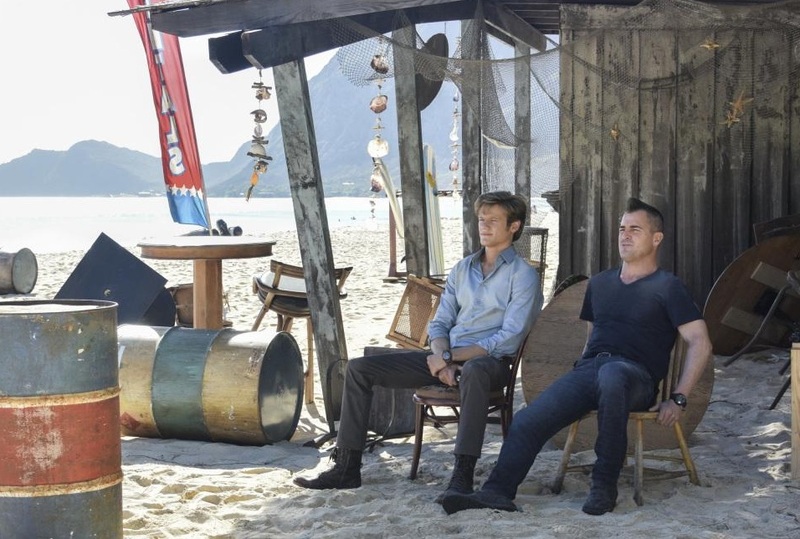 In an interview with TVLine, Peter Lenkov talked about the connection between Jack Dalton and Steve McGarrett and that he would love to do more crossovers. He talked about the difficulties of doing a crossover with ET Online (it’s the logistics) and why – to the disappointment of many Hawaii-Five-0-Fans – only a part of the H50-Team made it into the episode. Lenkov also wrote an article for the Hollywood Reporter; explaining why TV loves a good crossover and about what crossovers he personally deems the best. Central Casting Georgia has been looking for a lot of Extras the last few weeks; e.g. for Baseball Fans, Techs and Agents (young, attractive and smart-looking), men with real military or tactical experience, English Mercenaries and for Arab looking men to portray Egyptians (Cairo, anyone?). They put up a new casting call today for a photo double of a caucasian woman with light brown hair. We don’t know much about the remaining episodes. We finally got the title for Episode 19 (Compass) and its airdate (March 31). There are no press releases or stills so far. They have been filming on a baseball field (probably for Episode 20: Hole Puncher) and inside the same building that was used for Episode 17 (Ruler) as the CIA headquarters in Amsterdam. There will be more promo before the Season Finale since CBS46 was on set and did interviews with the cast. We still don’t know yet if there will be another season, but most sites are still predicting a season renewal (e.g. Movie Pilot, SpoilerTV or TV Grim Reaper). Disclaimer: My original guest-post was first published on The MacGyver Project on March 3, 2017. I made some minor changes (e.g. grammar or source corrections, link corrections, additional pictures) before re-posting it on my own blog for safe-keeping. Only four Episodes left on Season 1. Are you sad about the impending Finale? Don’t be, because a great villain of the original show will make an appearance! It’s been oddly quiet on social media recently. It might just be the calm before the next cycle of promo (for the crossover episode with Hawaii Five-0) hits us like an earthquake. Well, it’s already started. Just a few hours ago, Entertainment Weekly released the first promo trailer for Episode 18 (Flashlight). Otherwise, it IS more quiet than usual; probably because Cast and Crew are busy with scouting, filming and editing while Executive Producer Peter Lenkov is preparing to produce another TV show this Summer (does this man ever sleep?). Production should wrap up around mid-March. Justin Hires already sent out his invitation for a MacGyver Wrap Party Comedy Show on March 18. For the last four episodes, there seem to be good things (and characters) waiting on the horizon. Lenkov himself revealed some interesting tidbits; e.g. that the Finale will explain some more about Cairo. On another (and kinda disappointing) note, we’ll get an episode less than expected because Episode 21 (Cigar Cutter) will be the Season Finale. Fans of the original show can rejoyce, though because none other than Dr. Zito will show up! I’m really curious who they’ve cast for this role. We haven’t seen many pictures of the filming process of Episodes 19 (title still unknown) and 20 (Hole Puncher), despite production filming outside several times (e.g. at Grant Park, at Morehouse College posing for MIT and at East Lake Golf Club) during the last two weeks. 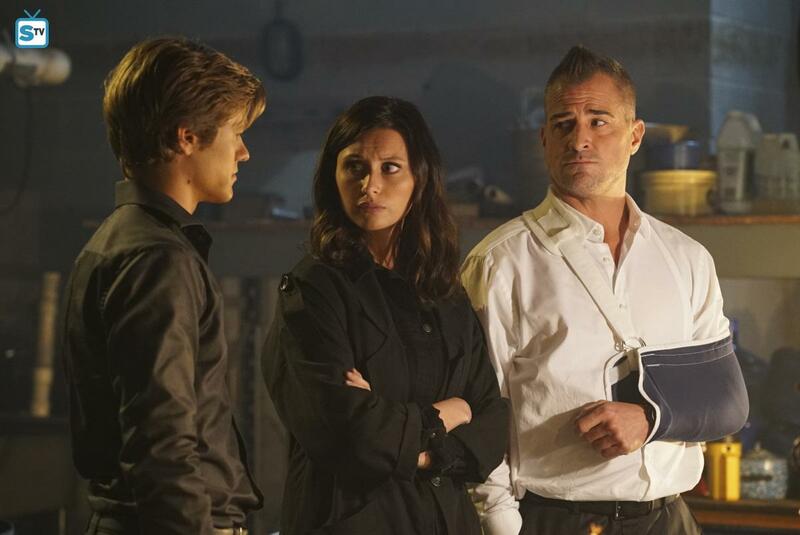 The few pics of the main cast so far are of Lucas Till and George Eads; George rendering fans starstruck and posing on what looks like a hospital set. Justin Hires shared a short video of the Golf Set, both him and Tristin Mays wearing golf gear. Hopefully, they’re not looking for another Malaysian doctor to help with on-the-fly-surgery. The fact that there will be a rerun of the Murdoc-Episode tonight (1×08: Corkscrew) gives Peter Lenkov some more time for the editing process on the crossover episode (1×18: Flashlight). Thanks to his Instagram Live Story on March 2, we finally know where that cute dog will show up. Ratings have been falling. Episode 16 (Hook) had 7.24 million viewers (along with a 0.9 rating in the 18-49 demo group). Last week’s episode (Ruler) even earned the lowest ratings of the entire season so far (6.93 million viewers), but did better in the very important 18-49 demo group (1.1). Both times, the Hashtag #MacGyver has been trending again while the writers engaged in live tweetings. For the premiere of Episode 16, “Billy Colton” Lance Gross joined the writer’s office. So far, we haven’t heard anything official about a possible season renewal, and while the crossover episode with Hawaii Five-0 will most likely get good ratings, it’s probably more important that the remaining three episodes manage to pull high numbers. While many think a season renewal is a given, it’s interesting to note that both Lucas and George (who’s never on social media anymore) have urged people to watch the newest episodes to rise the numbers. Lucas, Justin, the Stand-Ins and crew members along with the Colton-Cast posted many never-seen-before BtS pics (e.g. of the location scouting) and videos (e.g. of the blue-van-kaboom) to make us curious about the newest episodes. There was a LOT going on on social media during the premieres, so I was a bit surprised about the lower ratings. As for the last episodes, there was no new preview trailer for Episodes 16 or 17. We got stills and sneak peeks for Episode 17 (Ruler), though and stills and the above-mentioned preview trailer for Episode 18 (Flashlight). Several outlets have visited Lucas and George on set of the crossover episode. The Insider played lazy and let the two guys interview each other. ET Canada pretended to be disappointed about the set visit. No beaches, palm trees or guys with their shirts off – I guess they had a point. On February 22, CBS Watch! Magazine released the BtS video of their photoshoot with Lucas and George. The interview with Justin Hires is also available to read on the website now. Technical Advisor Rhett Allain posted some more learning videos; e.g. about “How to use Magnets like Mac“. This week, some pictures have surfaced from the Poster Promo Shoot. In case you ever wondered why I’ve never posted a picture of the official poster (besides the wall painting on Hotel Figueroa) in any of my updates: I hate it. It’s so overly photoshopped and makes Lucas look like a snotty, smirking, bratty jerk. So it was a nice surprise to see a “real” BtS picture of Lucas hanging with that parachute (looks so much better!) and to know the crew also had a lot of fun doing this shoot. As mentioned in my last update, Lucas, Tristin and Justin had made an appearance at aTVfest on February 4, attending a Q&A Panel along with Peter Lenkov and Jeff Downer. If you want to check it out, you can watch the full panel over here. The most interesting part for me was Peter Lenkov talking about the role he had intended Richard Dean Anderson to play (starts at Minute 22). For fans of the original show, it’s not that much of a surprise (although it’s not the most obvious of the most likely choices, either). Lenkov also revealed that the character of Bozer initially really had been planned as the comedic relief and unsuspecting roommate-slash-best friend, but talking to Justin Hires had made him revise the character and integrate him into the Phoenix Foundation. Central Casting Georgia has been looking for a lot of Extras the last few weeks; e.g. for college students, business people, men with military or tactical experience, Asian golfers, reporters, LAPD, Baseball fans, agents, techs, a waiter and a waitress, patrons and for a “Caucasian looking Brunette woman” for a still photo shoot that will be playing the wife of an actor. Interesting to note: Sandrine Holt was listed for Episode 19 on IMDb, but her credit has mysteriously disappeared. I really hope she’s coming back this season because her storyline has never been wrapped up to my satisfaction (and it probably never will as long as they keep her being a traitor). Her usual Stand-In (Briana Lamb) has been back on set, so I’m really hoping. Also, another Original MacGyver alumn has been seen on set: François Chau who played the character “Chi” in Episode 7×05 (The Coltons). I have to admit I don’t really remember his role, but I’ve seen him in several episodes of “Lost”. As mentioned above, Dr. Zito will make an appearance in the Season Finale. Two villains for the finale seems a bit much, but there’s a chance we’ll get to see Murdoc an episode sooner because David Dastmalchian has been in Atlanta recently. Disclaimer: My original guest-post was first published on The MacGyver Project on February 17, 2017. I made some minor changes (e.g. grammar or source corrections, link corrections, additional pictures) before re-posting it on my own blog for safe-keeping. 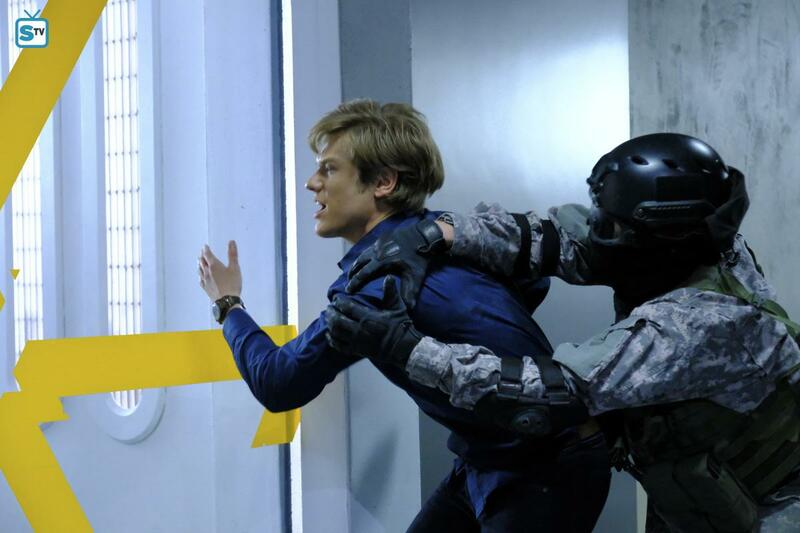 It’s official: MacGyver will have a crossover episode with Hawaii Five-0 next month! My speculations manifested due to Central Casting Georgia announcing a casting call on February 2 for Asian-looking Extras; in particular Hawaiians (certified in First Aid and CPR or having real life experience as EMTs, Paramedics, Doctors, Nurses or Rescue Workers). 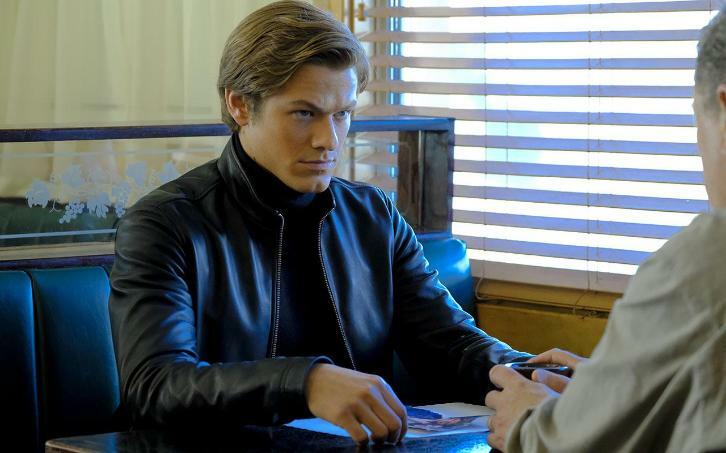 Not even 20 hours later, Lucas Till spilled the beans by sharing a picture of Taylor Wily on the MacGyver set in Atlanta. It didn’t take long for press releases and articles to pop up with more information. According to TVLine, the Episode called “Flashlight” will air on March 10. The story will involve Mac and the team travelling to the big Island of Hawaii to aid in earthquake-relief efforts. 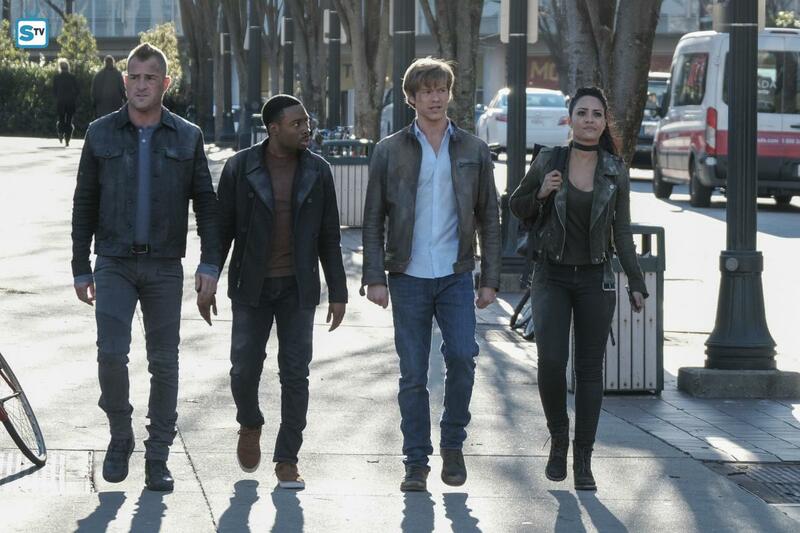 There, MacGyver and Jack will team with Chin Ho and Kono to rescue a group of government scientists trapped in a building on the verge of collapse. So far, not that many pictures have resurfaced from either sets in Atlanta or Hawaii. But we might get to see some special promo since they did cast interviews and B-Rolls on location. On February 4, Taylor Wily posted a short video of the MacGyver home dressed up for Mac’s birthday. On February 9, Fred Andres granted us a first look at one of the sets – although back then, it was still unclear if the main cast would actually film scenes in Hawaii or if they would stay in Atlanta while 2nd Unit got the necessary outside film material on location. On February 13, we finally got pictures of Lucas Till and George Eads on the earthquake set at Leahi Hospital. The crew was seen lifting heavy rocks around while the Stunt Team was already filming with Stunt Coordinator Jeff Wolfe. Casey Alicino revealed the director’s name (Jonathan Brown). On Valentine’s Day, Daniel Dae Kim posted the first official picture of the crossover team. The Press Release on February 16 brought us the first official still. Seems there was a dress code to wear shades of blue! While Lucas and George were in Hawaii, the rest of Team Phoenix filmed their scenes in Atlanta (e.g. on a jet or in the lab) with the crew working behind the scenes and the guest-stars finishing ADR (e.g. Jermaine Rivers for tonight’s Episode 16). It’s nice to see that despite the hard work, the cast still takes time to pose for pictures with the Extras or with fans. Peter Lenkov posted some videos while editing; e.g. a video of editing Hawaii Five-0 that mentions Jack and the Phoenix Foundation. Interestingly, another (now deleted) video appeared to be a huge spoiler for the ending of next week’s episode 17 (Ruler). As Anthony Kountz revealed today, they just started working on Episode 19. It’s nice to see it will be once again an episode directed by a woman (Christine Moore). A few days before the premiere of Episode 15, Lucas and Justin and the crew had been teasing us with BtS pictures. Cast and crew seemed especially fascinated by the robot (that will make another appearance soon). The Reboot continues to earn good ratings. Episode 14 (Fish Scaler) managed 7.5 million viewers while Episode 15 (Magnifying Glass) got a whopping 8.05 million viewers (along with a 1.2 rating in the 18-49 demo group). 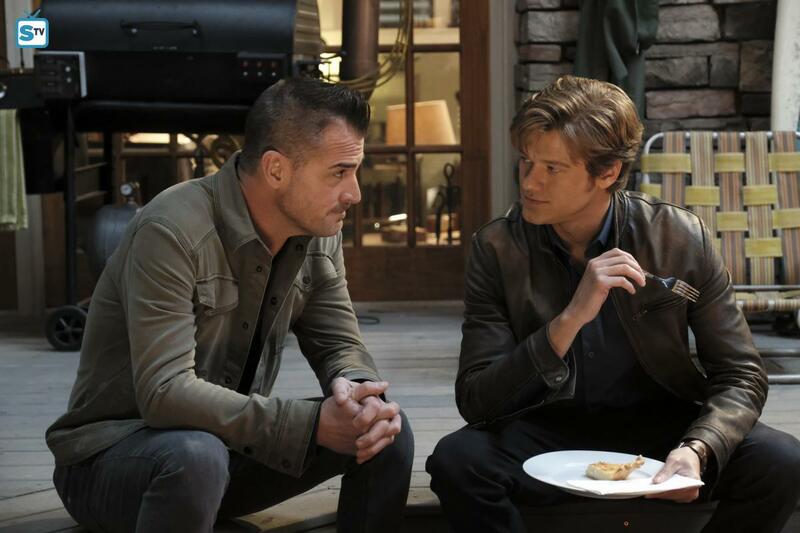 Since the news about the crossover episode was officially announced only hours before the premiere of Episode 15, the Hashtag #MacGyver was already trending not even 10 minutes into the episode. The writer’s crew continued their tradition of live tweeting. Craig O’Neill posted a picture of the “new” MacGyver writer’s office which brought up another round of speculations about a possible season renewal. On February 3, we got an additional Sneak Peek for Episode 14 (Fish Scaler) via ET Online. For the Sneak Peeks for Episode 15 (Magnifying Glass), we had to wait until Premiere Day again. We got many official stills for tonight’s Episode 16 (Hook). Sadly, CBS still witholds the previews. As for last Friday’s episode, there was no “real” preview trailer but a video put together with scenes from old episodes (e.g. Chisel or Metal Saw). We got 3 Sneak Peeks, though and therefore got to meet Mama Colton and Billy Colton – and most important: Frog Dog! For now, he’s just an Easter Egg on a painting in the background, but who knows what will happen. So far, we haven’t seen much for Episode 17 (Ruler) besides the press release and a few stills via Getty Images. The press release for the crossover Episode 18 (Flashlight) was made available on February 17. Interestingly, in an article about the crossover by Star Advertiser, it’s stated that the show “already has been green-lighted for a second year“. So far it’s unclear if that really means a Second Season or if some information got mixed up (because initially only 13 episodes had been ordered before the Full Season Order back in October). Since all of CBS’s Friday Night Shows are doing very well ratings-wise, it would be a no-brainer to renew them. It’s possible we won’t know before the upfronts in May, though. According to Broadway World, there will be a rerun of Episode 8 (Corkscrew) on March 3. On February 4, Lucas, Tristin and Justin made an appearance for SCAD aTVfest. After doing some interviews, they attended the Q&A for the screening of Episode 14 (Fish Scaler), along with Peter Lenkov and Jeff Downer. Since the event took place on a Saturday, the cast worked through another weekend but still took time to post pictures and videos. In the interview with FanBolt, Lucas revealed that he was indeed heading to Hawaii for filming. He also acknowledged Richard Dean Anderson’s involvement in the Original Show; stating that he doesn’t know how RDA handled the workload being in every scene while not having an ensemble cast like they do for the Reboot. Central Casting Georgia did several rush calls to get their extras for the crossover episode; e.g. for Tactical Guys and for a “real EMT with experience operating a gurney”. Other casting calls included Asian and Caucasian Men to portray National Guardsmen as well as calls for Agents and “Techies”, Airport Passengers and MIT Students. As TV Guide Magazine revealed, we will get to know the backstory between Jack and Matty and see more scenes of the Phoenix director in the field. Peter Lenkov promised weeks ago that Sandrine Holt will be back – and look, she’s listed for Episode 19 on IMDb. Interesting. Although I still think she will show up in the Season Finale along with Nikki and/or Murdoc; especially since Lenkov also revealed that Murdoc will come back this season (and there aren’t that many episodes left to film).